Nobody said your hard hat has to be boring! Whether you like wearing a cowboy hat, or you just want to capture the "Western Outlaw" look, this hard hat is perfect for you. And it's more than just stylish--it is impact rated to ANSI Z89.1 Type 1 and Class E (Electrical) 20,000 volts (phase to ground). 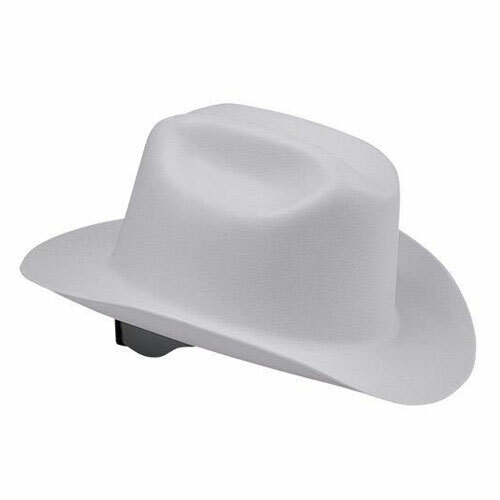 The wide brim also provides extra shelter from sun and rain. Its 4-point ratchet suspension is easy to use and fits most heads (range is 6.5" - 8"). The shell is durable and lightweight, made from HDPE (high density polyethylene). Replaceable sweatband included.